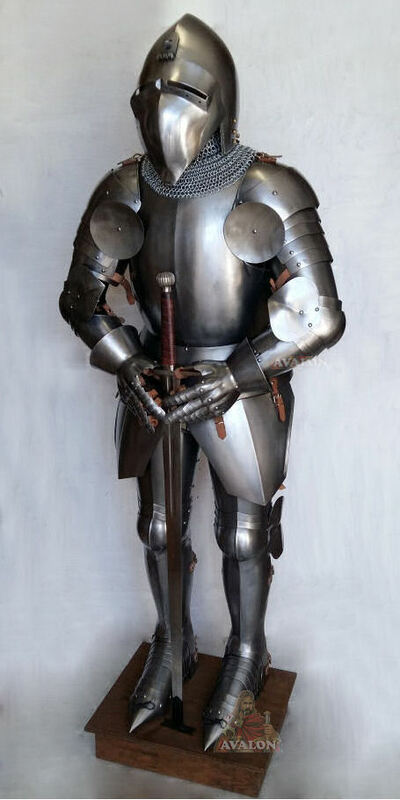 Medieval Knight armour includes all parts of the armour, which are shown in the image. 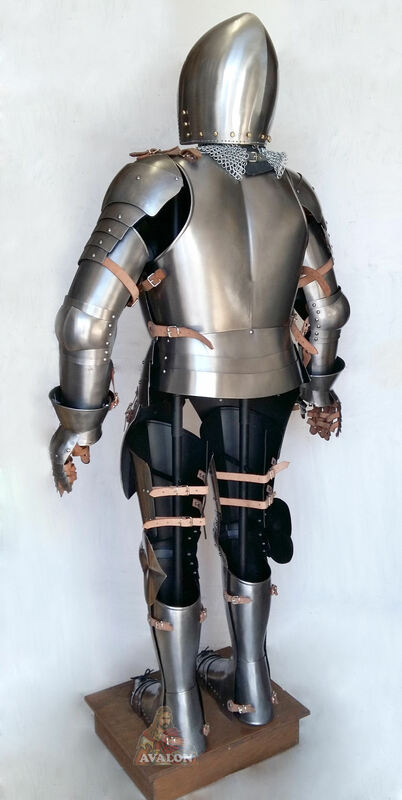 Medieval Knight Armour completely wearable and functional. 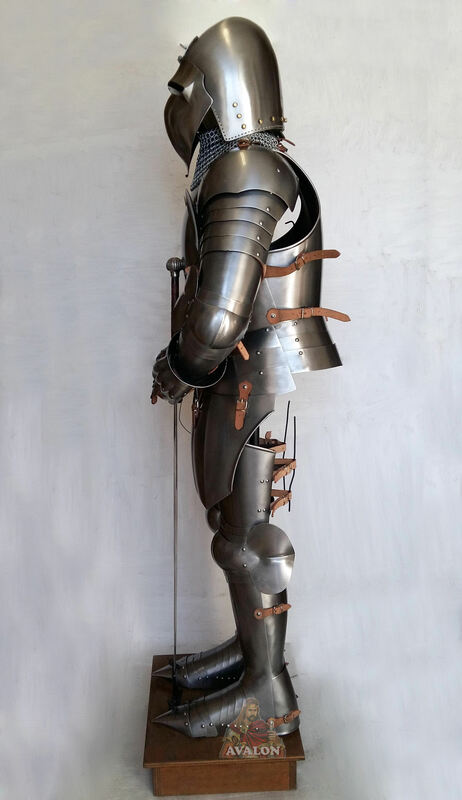 Medieval Armour with Bascinet fitted with a klappvisor. 1- Bascinet Helmet, Bascinet fitted with a klappvisor, It was particularly favoured in Germany, but was also used in northern Italy. The "klappvisor" or "klappvisier",this type of visor was hinged at a single point in the centre of the brow of the helmet skull, was a type of visor employed on bascinets from around 1330-1340;. 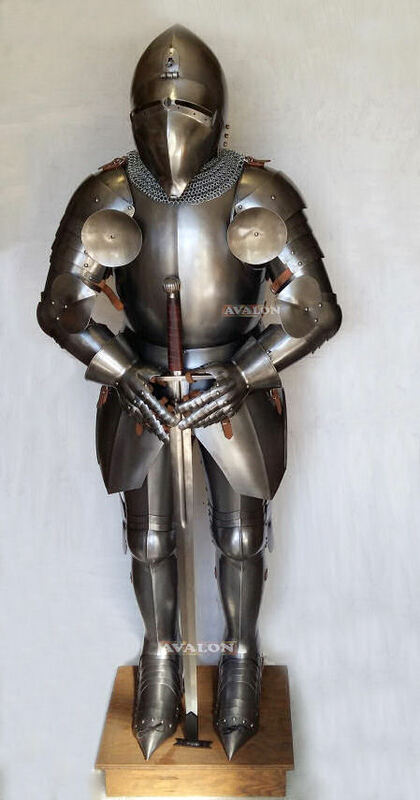 4- Armour to protect the arm, consisting of three parts: the upper cannon (forearm protection), the cubitiera (elbow protection) with lateral wing and lower cannon. 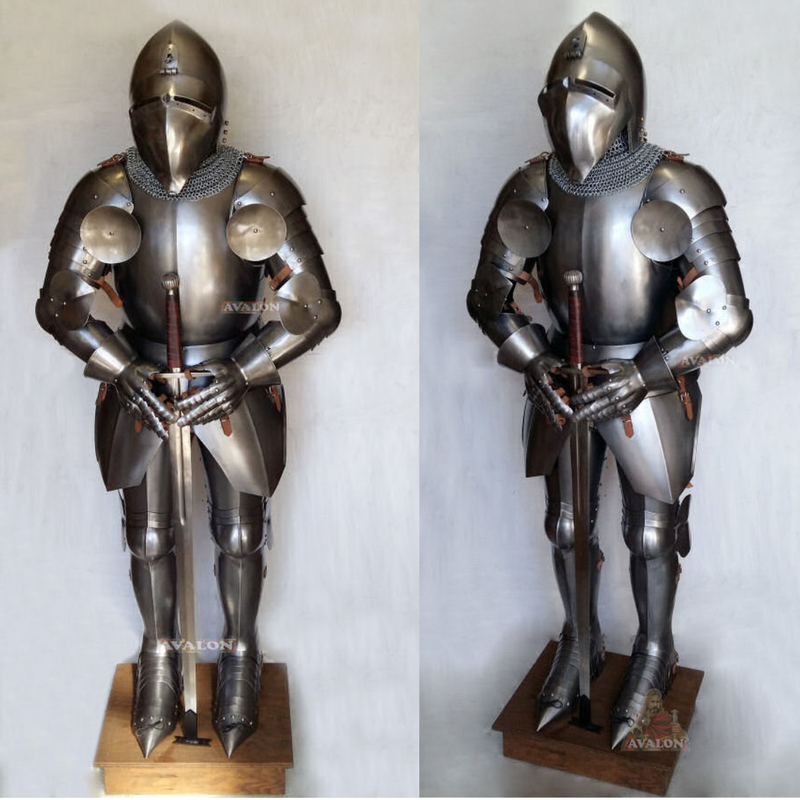 In the middle ages there was in Italy a great centre of production for armours, where skilled craftsmen created armours for Knights used in fights, in ceremonies and parades. 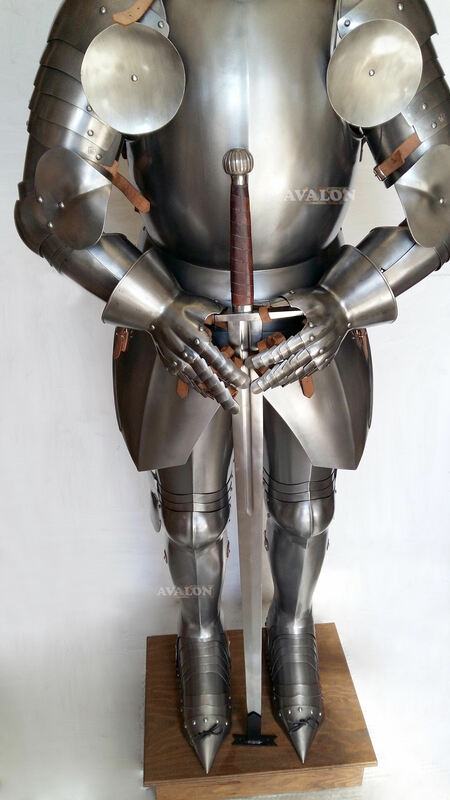 The first to create plate armour were the Italian artisans from Milanese, over the centuries, followed by German and French craftsmen who added decorations in relief. Note the difference in detail between this armour produced in Italy and others made elsewhere, there is no comparison.